Nowadays, dual polarity antennas are proving useful for managed service providers, who wish to deploy APs in high-density locations. When Internet users connect to a Wi-Fi network in high-density locations they expect to find high-performing Wi-Fi. Some of these high-density locations include sports stadiums, offices, campuses, auditoriums, and other similar areas that require a good signal without interference. In order to improve the Wi-Fi connection while setting up an infrastructure for a high-density environment, Managed Service Providers deploy APs in ceilings, on wall mounts, and under seats. Nevertheless, there is now a better way for MSPs to provide an improved wireless connection for users in high-density locations. 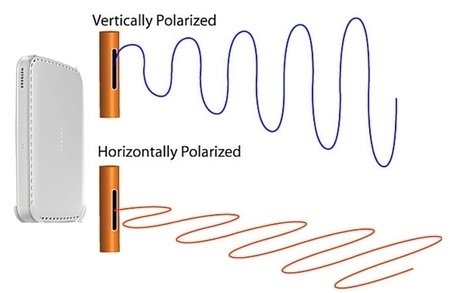 Alternatively to vertically- and horizontally-polarized antennas, MSPs can now use dual polarity antennas to improve the Wi-Fi connection in HD environments. Dual-polarized antennas respond to horizontally and vertically polarized radio waves and allow the radio to receive and send the data faster. By deploying APs with dual polarity antennas, MSPs would be able to satisfy the requirements and provide a solid Wi-Fi connection in high-density environments. Vendors offer many different devices with dual polarity antennas, i.e. TP-Link (TL-WA5210G (supported by Tanaza), TL-WA7210N, CPE510 and CPE210) ; EnGenius (ENS202, ENS500, and EOC2611P). Netgear and Ubiquiti also provide dual-polarized antennas that are compatible with their devices.